" I'd been renting out my home and it needed some attention. 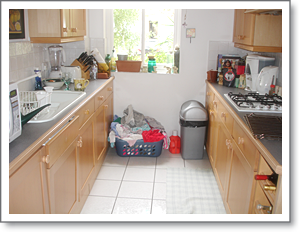 House Wow organised everything from the cleaning, furniture dressing, changes to the kitchen and liaising with the letting agent and 'estate agent for me while I was out of the Country. 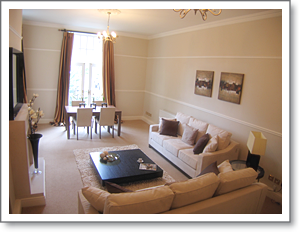 I was delighted with my quick house sale in a difficult market"
(pictures left and below left). 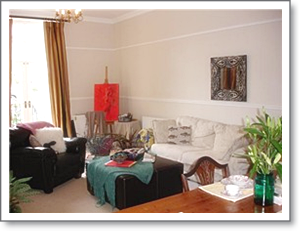 "We find that customers who have emigrated and rented their home out need added value services for a quick house sale. Its important to present the property well in order to achieve maximum selling price and sell your house fast in a difficult market. 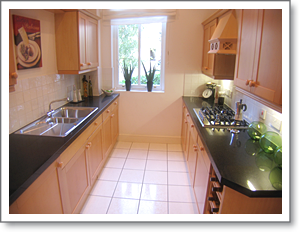 The house improvements and added value here ensured that this house sold quickly for optimum value."